Students learn about the Euro, numbers, and culture! Use in games and activities for an interactive class. Bonus downloadable, three-page supplement has background information about the currency. Chart: ©2013. 24 x 36 inches. 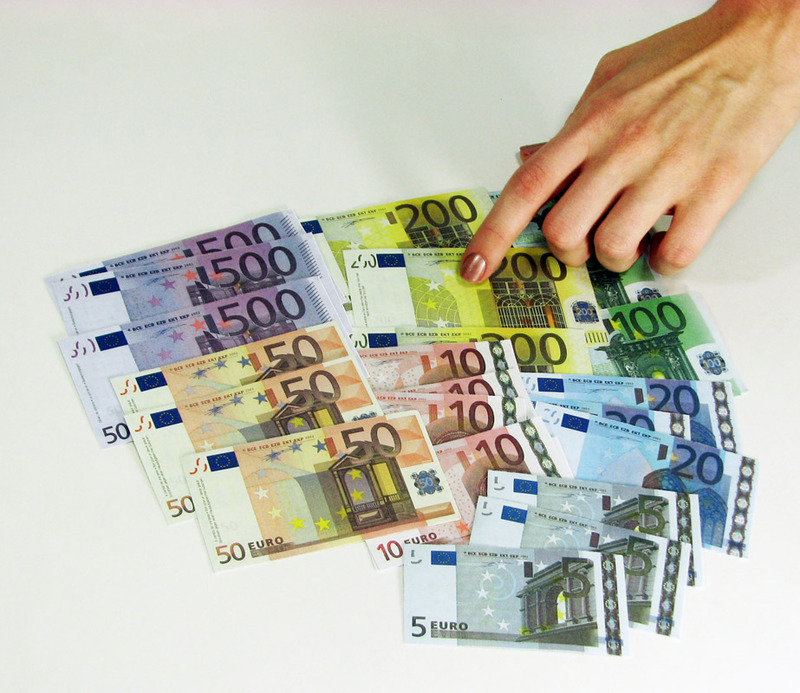 Bills: 500 euro bills in seven denominations. Bills come in perforated sheets. 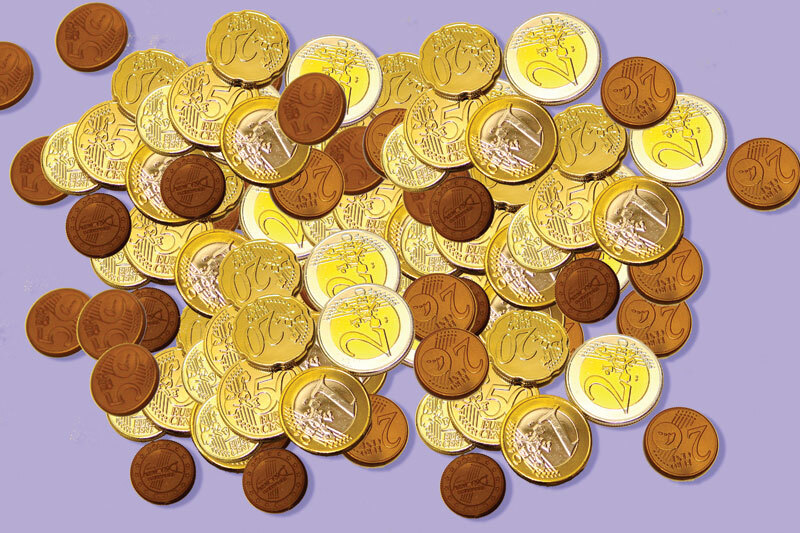 Coins: Eight different styles and denominations and a minimum of 500 coins. Made of durable plastic that looks and feels like metal. I love that the money looks like the real thing and is easier for kids to handle than the paper print-offs I used to use. The coins are just about spot on, but I do wish the paper money was sized better. They are much smaller than the real thing. 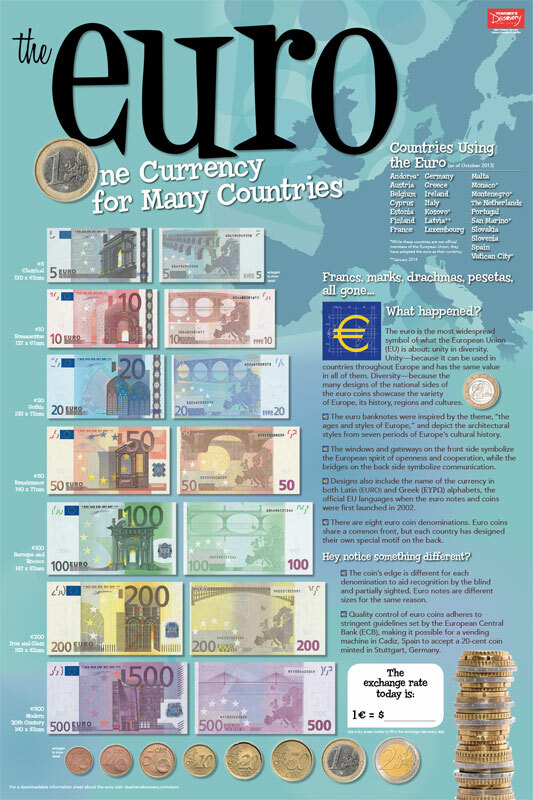 I was ecstatic to finally find a set of fake euros for the classroom, and the poster is actually pretty nice to have, including a spot for you to write the current exchange rate.pros- coins are fairly realistic-colors on notes are great! !-good quantity for classroom-notes differ in sizes & have color, just like real ones-architecture/ sites are on the notes. cons--The coins' coloring is a bit off (e.g., bright gold for 1 euro)-Notes come in sheets and must be torn apart (although the perforation is very good)-The coins do not have the "country" backs, which I'm sure would be impractical to produce, but it would be nice to have!-Notes are smaller than authentic ones. (e.g., the 5 Euro note measures 3.5 x 1.75, when it should be 4.7 x 2.4, the 500 is 4.74 x 2.5, should be 6.3 x 3.2)quantity I received:1c--622c--645c--6310c-- 6320c--6650c--631EUR--632EUR--63I would definitely recommend-- I'd been looking for something like this for years.